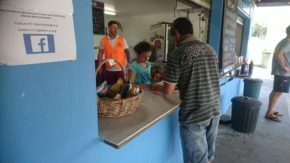 Volunteers are the heart and soul of Coolum Football Club !! It is how our club functions and we owe everything to their passion, loyalty and hard work! Some of our 2018 Volunteer Positions are listed below, if you would like to get involved with one or more, we would love you on our team! Every game day we are always needing a few people to help in the canteen and the bar, this is our #1 volunteer need. Anyone with their RSA to help run the bar on Friday and Saturday nights. Parents or supporters who come to watch, we always need a small group of people to wear an orange Ground Official bib to ensure games are controlled, parents kept in check, referees supported, drinkers kept in check etc. If you can help for even just an hour, it’s greatly appreciated. A team of go getters, who can be down early Saturday mornings, line marking, putting flags out, sweeping under the canteen etc, to make sure the club looks great and Ready To Go for games! Any tradies or families involved in the club who run a business, that can help, by offering their services to fix and maintain the club/grounds is always greatly appreciated. Loads of little jobs always needing attention or things to fix, repair or replace. *Service for a sign* sponsor deals available. please enquire. A small job for a few hands, just a few hours each week, more than likely a Sunday after weekend games, to tidy, hose down, and clean up change rooms and toilets. A team of people who can help the club acquire new sponsors every season for the kits and club in general, community involvement, purchase new gear, sell advertising/signage spaces each year and much more. A team of people to organise & run ideas to help the club raise money. Someone to look after and manage our club’s training equipment, match balls, etc to make sure it’s all operational, always available, well looked after and kept in correct storage places. Anyone at all who can be available for home games to take photos of any and all teams, for us to post online. Anyone involved with the club who can ever lend a hand, cleaning up and fixing things to keep the club in top shape is always wanted, please join the volunteers FB group below! Volunteering is an important part of any community, and without volunteers the ability to participate in our chosen sports and keep active would not be easy. 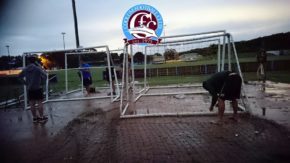 Coolum Football Club relies enormously on people participating in volunteer roles. They bring energy, enthusiasm and a wealth of knowledge in the many different volunteer positions which are so important to the running of our football club. We have many talented people amongst our football community, whose knowledge and skills we could use in many different areas. Your time commitment could be as little as an hour a week, to just a few hours once a month. It could be from designing a poster for an upcoming function, ideas on fundraising, right through to managing a team. As the old saying goes ‘Many hands make light work’ but more importantly volunteering is for the benefit of our children who play for the club and helping them in a very positive way.